Public discussion on whether Moscow may embark on a policy leading to the annexation of Belarus in the mid-term future seems to be picking up momentum. In June this year, existing concerns were finally openly voiced by Belarus’s President Alexander Lukashenko, who said that if his country were unable to “endure”, it would “have to join another state”. Worse, “a war, like in Ukraine, may be unleashed”. 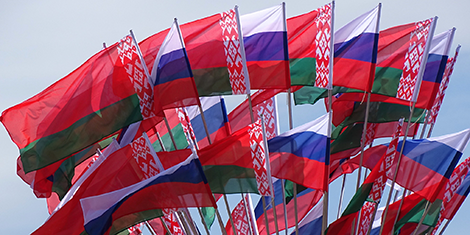 Lukashenko did not name any names, but as observers immediately noted, there are not too many countries among Belarus’s neighbours that have recent experience of territorial expansion. The speculations are based on two analytical assumptions. According to one, Moscow is irritated by the reset in Minsk’s relations with the West, which happened in the context of the Russian-Western conflict over Ukraine, and warned the Kremlin that the Belarusian ally could no longer be relied upon. The second, albeit vague but nonetheless spread in the media and among some experts, links the annexation scenario with the possibility of Vladimir Putin solving his “2024 problem”, namely a constitutional limitation on the number of presidential terms, by means of coming to power in another legal entity – a new Russian-Belarusian state. Both assumptions have an inner logic and deserve attention. After Crimea, many things are bound to look much more plausible than before. However, neither of these assumptions is completely convincing. Moscow may not take too kindly to Minsk’s flirtation with the West, but it need hardly be overly concerned. True, in the last four years, Belarusian-Western diplomatic relations have indeed normalized. Mutual visits as well as international events hosted by Minsk are impossible to count. Cooperation rhetoric is abundant. That said, big Western money has not been forthcoming and is unlikely to be so as long as the Belarusian leadership refuses to agree on a reform package with the IMF. Even relatively minor Western concessions, such as visa liberalization for Belarusian citizens, have not been made. Trust is absent because there is an institutional memory in the West about the failure of previous attempts at cooperation, and a fear in Minsk that in the end the West will still aspire to a regime change in Belarus. Belarusian “neutrality” on the Ukrainian question also remains a figure of speech. In a series of votes in the UN General Assembly on issues of Ukraine’s territorial integrity and the situation in Crimea, Minsk voted together with Moscow and against Kyiv. In light of this, Ukraine’s official spokespersons suggested moving the Donbas peace talks away from the Belarusian capital. In 2017 Russian security services kidnapped a Ukrainian net activist on the territory of Belarus, and since then Ukraine’s Foreign Minister Pavlo Klymkin has been repeatedly urging his countryfolk to travel to Belarus with caution, and even described the country as unsafe for Ukrainian citizens. Meanwhile, a Russian-Belarusian military alliance remains a tangible reality. In October, a top-level meeting of the two Ministries of Defence, held in Minsk, again emphasized a single approach towards regional security issues and a common threat assessment, focused on NATO. Alexander Lukashenko promised a joint response by Belarus and Russia in the event of a US military base appearing in Poland. A traditional large-scale exercise, “Union Shield”, will be conducted in 2019. As for the “2024 problem”, amending the Russian constitution would be a much easier task. Unification with Belarus, even if Lukashenko agrees to step down, would require significant resources to buy the loyalty of local elites and overcome the resistance of small, but potentially vocal independence-minded forces. Moreover, this step would imply direct responsibility for the economic situation in Belarus, very costly by definition, and would not necessarily be as popular domestically as Crimea’s annexation. This is not to say that Russia is adopting a relaxed and placable attitude. On the contrary, its policy is aimed at increasing Moscow’s influence over Belarus and limiting the latter’s room for manoeuvre. The Kremlin will do its utmost to ensure that both the current Belarusian leadership and its hypothetical successor will simply not have a chance to behave differently. Russia’s economic subsidies come with more strings attached. Once lavish, the loans are now shrinking, while possibilities to re-export oil products made of tax-free Russian crude oil are receding. Meanwhile, Russia is increasing its defence capabilities in the vicinity of the Belarusian borders. Russian media actively target local “Russian World” sympathizers, fostering pro-Russian sentiments and working against the emergence of the Belarusian identity. The recent appointment of a new Russian ambassador to Minsk, former career KGB officer Mikhail Babich, augurs tighter oversight of the country’s administrative and security apparatus. In October, the Russian Orthodox Church arranged the gathering of its Synod in Minsk, for the first time in its history, which was a reminder that there is a structure in the country partnering with the Kremlin, but not subordinate to Belarus’s authorities whatsoever. In these circumstances, it would be very risky for Alexander Lukashenko to even contemplate not fulfilling his part of the geopolitical contract with Moscow. On the other hand, as long as he abides by the contract, knows where the red lines are drawn and does not allow any political liberalization in Belarus, his rule in the country will be something that the Kremlin can comfortably live with. Arkady Moshes is the Programme Director of the Finnish Institute of International Affairs’s (FIIA) EU’S Eastern Neighbourhood and Russia research programme.